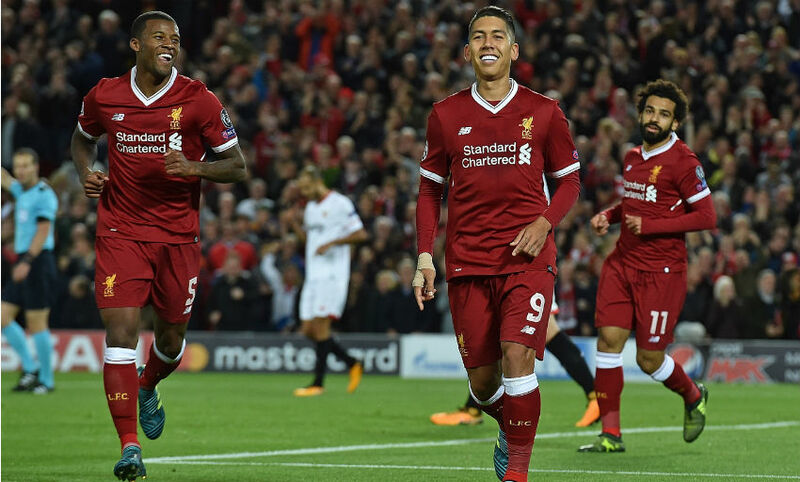 Liverpool began their Champions League group stage campaign with a 2-2 draw with Sevilla at Anfield on Wednesday. Goals from Roberto Firmino and Mohamed Salah, which came in reply to Wissam Ben Yedder’s early opener, ensured the Reds went in 2-1 to the good after a breathless first half that also featured a missed penalty by Firmino. It appeared that Jürgen Klopp’s side were on their way to a win on matchday one, but Joaquin Correa’s 72nd-minute strike snatched a point for Sevilla. Klopp made three changes to his starting line-up, with Loris Karius, Dejan Lovren and Gomez coming into his team. Coutinho came off the bench in the 76th minute for his first appearance of the season. Roared on by a vociferous home crowd, the Reds began on the front foot and Emre Can tested Sevilla goalkeeper Sergio Rico inside the first minute with a long-range curler. However, the visitors’ first foray forward towards the Kop ended with them taking the lead through Ben Yedder, who converted Sergio Escudero’s low cross from close range. Liverpool responded positively to that early setback, though. 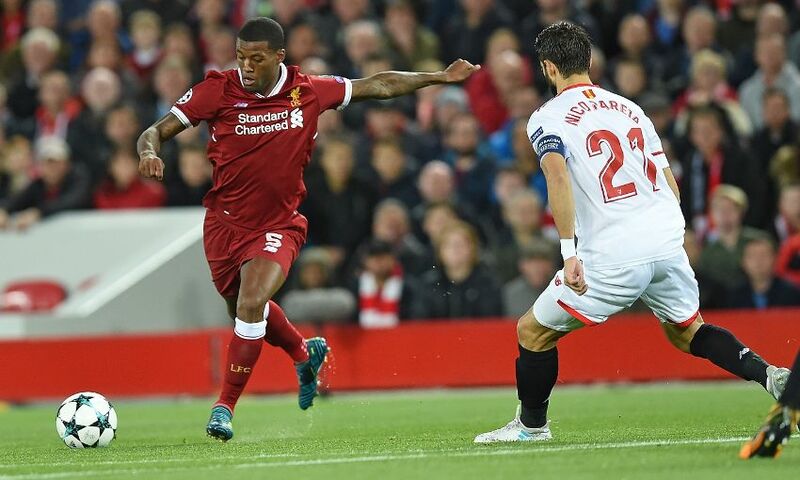 Within four minutes of the opening goal, Georginio Wijnaldum had seen a shot deflected wide, Rico had got down well to deny Sadio Mane and Firmino had planted a header onto the roof of the net. That initial wave of pressure subsided, but a moment of real quality drew Klopp’s team level in the 21st minute. Alberto Moreno played a sharp one-two with Jordan Henderson and fed Firmino with an excellent delivery from the byline, with the Brazilian nonchalantly side-footing home from no more than six yards. Anfield reverberated with noise and Can went so close to making it 2-1 almost immediately, the German dragging a shot wide following the kind of lightning-quick counter-attack that is fast becoming a hallmark of this Liverpool team. But, shortly before the interval, the Reds were in front. After losing possession, Salah quickly won the ball back from Steven N’Nonzi and tried his luck from distance, with his effort looping up off Simon Kjaer and over the stranded Rico. It could have been even better for Liverpool before half-time, too, but Firmino struck the outside of the post with his penalty after Nicolas Pareja had felled Mane in the area before Rico palmed away Moreno’s attempt after another rapid break. Understandably, the frantic tempo of the first period abated a little in the early stages of the second half. Nevertheless, it was the hosts who still looked the most likely scorers and Rico had to be alert to tip Salah’s ambitious volley wide before Mane curled a left-footed attempt over the bar. Wijnaldum then tested Rico with a stinging 20-yard drive, but Sevilla drew level 18 minutes from time when Correa finished smartly after collecting Luis Muriel’s pass. That was Klopp’s cue to call for Coutinho, and the Brazilian came on to a loud welcome from the home faithful. Daniel Sturridge and Alex Oxlade-Chamberlain were also introduced as Klopp went in search of a late winner, but the Reds - who were reduced to 10 men in stoppage time when Gomez received a second booking - were forced to settle for a point in their Group E opener.